Wellington has been turned into a virtual reality game where players can dive with whales, play drums on Cuba Street, and admire the night sky at Matariki. The WellTown game, has been created to attract people to come and live in the capital from all over the world using what's believed to be a world-first: the recreation of the city in virtual reality. Data from the city council was used to make the 3D version of Wellington, and new motion capture technology was created in building the game, lead developer Jeff Jones said. Using a headset, users can visit Mt Victoria, where they have a 360-degree view of the city, the harbour, Hutt Valley and the hills. With the click of their control, they can also go into the bush, be surrounded by the sound of native birds singing, dive deep beneath the ocean, or play the drums on Cuba Mall with a local band. 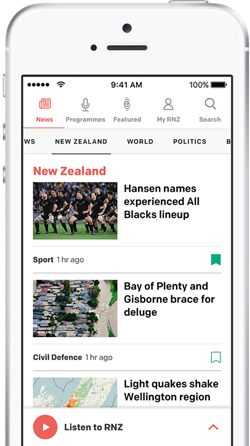 An "explore more" option also allows them to visit Te Papa, see the Treaty of Waitangi up close, and stand next to the All Blacks while the anthem plays at Westpac Stadium. The game was the brain child of the Wellington Regional Development Agency (WREDA). It was designed to help Wellington stand out - as cities around the world tried to attract the people who would help their economy grow, WREDA general manager Anna Calver said. "Wellington, in comparison ... to most of those places is pretty small. If we want to stand out we've got to do things differently, and we thought 'why not use this incredible immersive virtual reality technology that's been developed here, right now, in order to do that'." 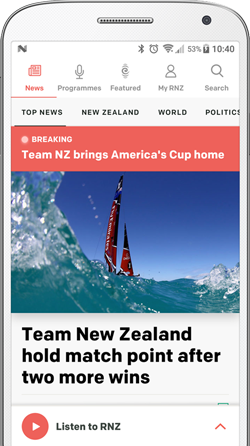 The game would be released on gaming platforms, for people with virtual reality headsets to use, then WREDA and Wellington organisations could use it "in places like events offshore, exhibitions, trade shows". Ms Calver said it cost $300,000 to create, and would be available for anyone who needed to promote Wellington to use. The virtual version of the capital city was built by Wrestler, a Wellington-based video production agency. It was 18 months in the making, the agency's co-owner Kat Lintott said, and the idea was to capture the heart of Wellington. They channelled as much local talent into making virtual Wellington as they could, using the tech and creative industry, and a local band and street artist. Mayor Justin Lester had played the game and said he particularly enjoyed playing drums with Orchestra of Spheres on Cuba Street, and shooting coffee at zombie commuters coming out of the Wellington train station. He said it was a good way to allow people to explore Wellington without having to travel to New Zealand. Wellington has become the country's most expensive city to rent in, after Trade Me figures showed the median weekly rent hit a record high. The government wants to capitalise on the boom in one of our largest visitor markets by joining forces with China to promote tourism between the two countries. Wellington has been named New Zealand's most creative city as measured by those employed in creative jobs.